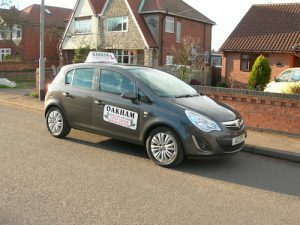 Learning to drive can be daunting task, but Oakham School of Motoring will instantly put your mind at ease with affordable, professional and top quality driving lessons available throughout Nottinghamshire, including Mansfield, Woodhouse, Clipstone, Shirebrook, Langwith, Sutton in Ashfield, Kirkby/Annesley, Huthwaite, Skegby, Stanton Hill. Owner Russ Parkin (pictured left) is a fully trained DSA approved driving instructor with many years driving experience. Russ provides a comprehensive range of driving lessons, tailored to suit all pupils who require lessons based on their own unique learning capability, from intensive driving lessons, crash courses, refresher driving lessons, pass plus driving or standard driving lessons. 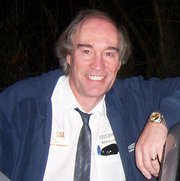 Russ is one of the few Client Centred driving instructors to be officially trained at DSA headquarters and can boast a high rate of successful driving passes, something he has enjoyed doing since 2002. Oakham School of Motoring is also the first driving school to offer DRIVING COURSES ABROAD with 1 or 2 Day Courses available to Pass Plus students and those who have already passed their driving test (Driving can be shared with a friend or family member). Overall, there’s a lot for learners to enjoy with Oakham School of Motoring in Mansfield, from a friendly and reliable service and excellent tuition throughout, to help with your Theory Test revision … we really do cater for your every need!